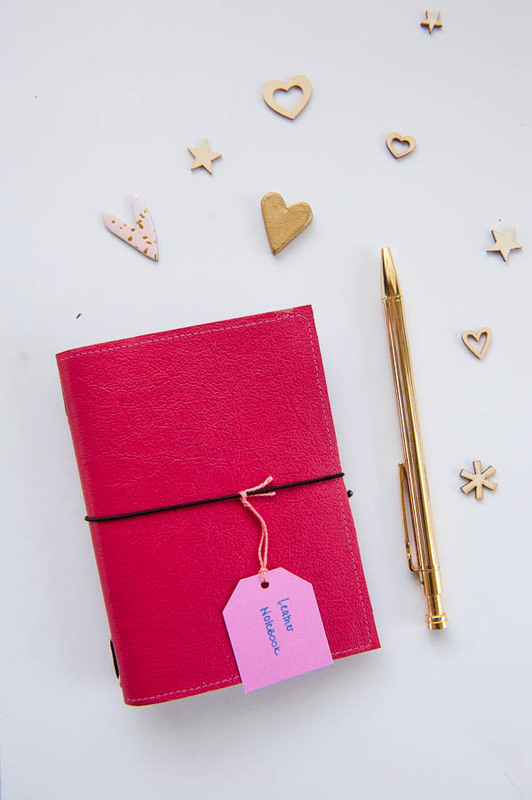 The cutest little dori you ever will see, this passport sized leather travelers notebook is handmade in hot pink leather, and as if that wasn’t enough, the real action is happening inside. Open up the dori and take a peek at the gorgeous hand-printed inner. Each notebook cover has a unique lining & complementary topstitching – and the hand made insert that comes with it to get you started is also designed to match. Each leather travelers notebook comes with a handprinted lining and one hand made insert, and will fit other passport sized inserts. All travelers notebooks ship free within Australia.